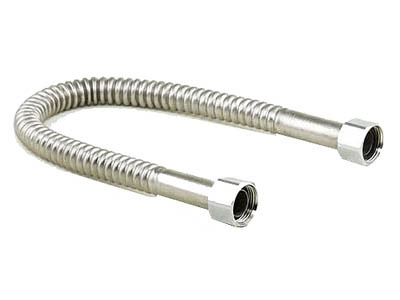 Falcon Corrugated Stainless Steel Faucet Supply Hose (3/8 Compression x 3/8 Compression) - 16" - 7/16" Outside diameter with full port connections for maximum water flow. Safer alternative to braided hose. No plastic nuts or rubber tubing. 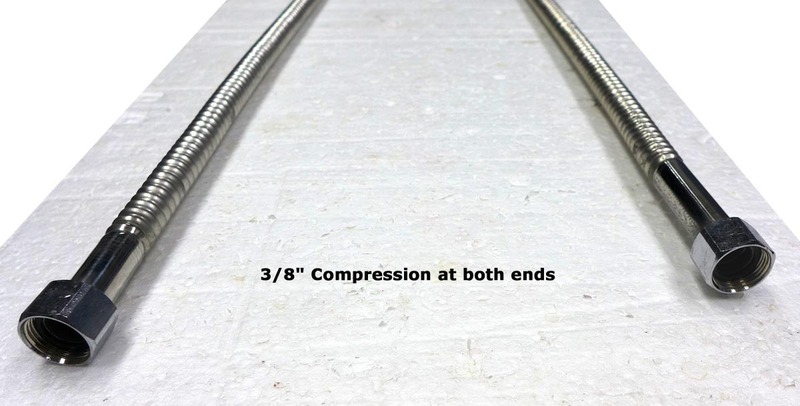 3/8" compression connections at both ends. Typically used with faucets with 3/8" OD tube pigtail connections and 3/8" connections at the shutoff valve. Available in 16", 26", 48" and 60" lengths. Typically purchased in pairs.